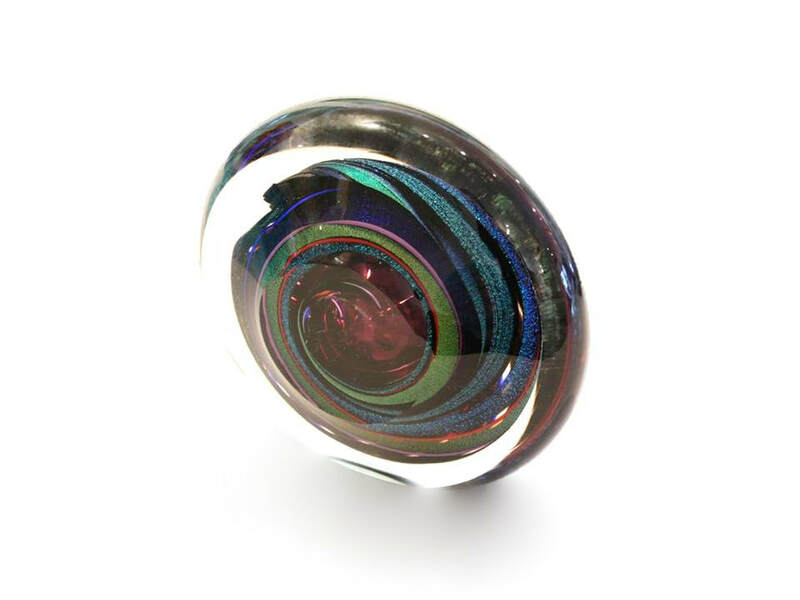 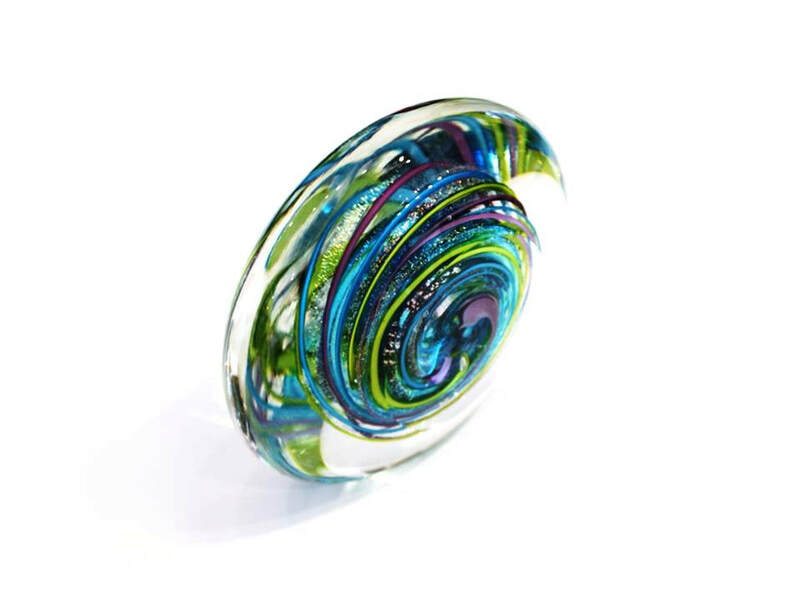 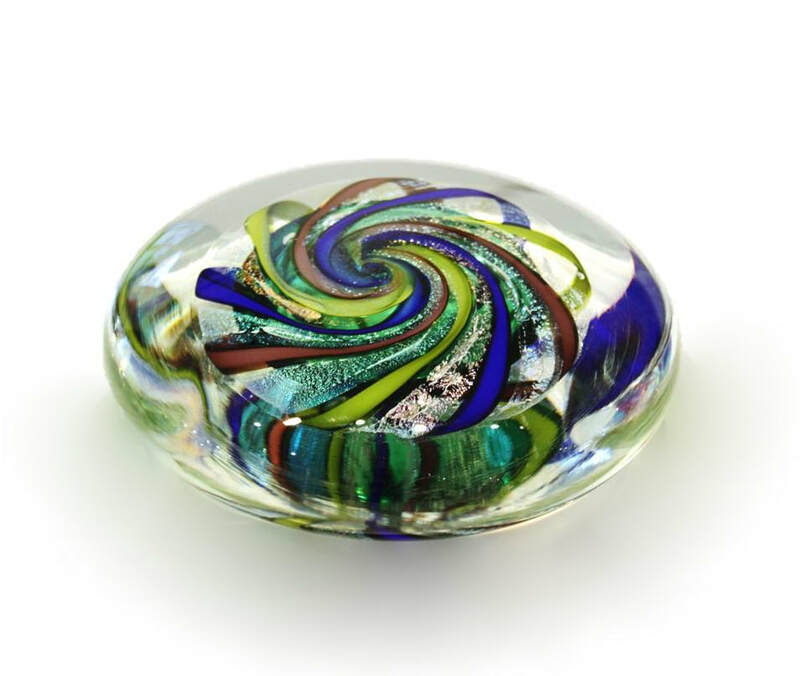 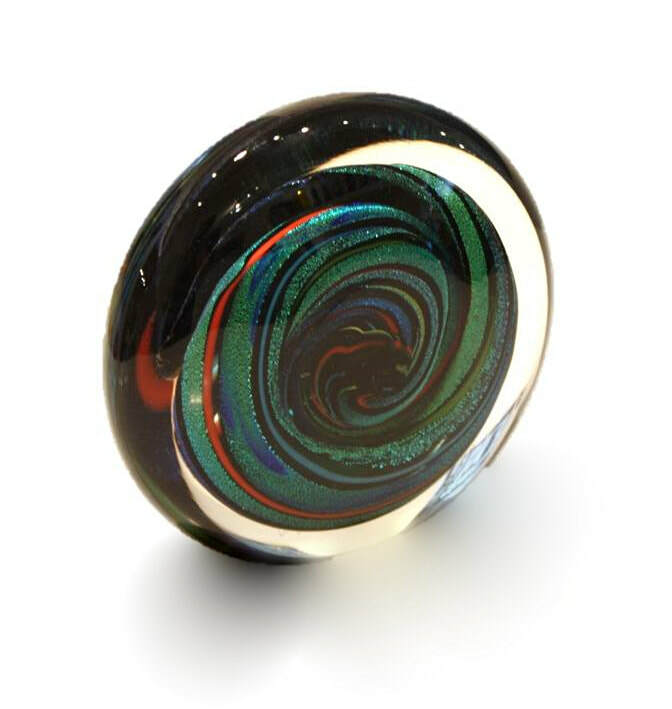 Auckland based glass blower Peter Viesnik produces a range of glass artwork, from paperweights to vases, stoppered bottles and bowls. 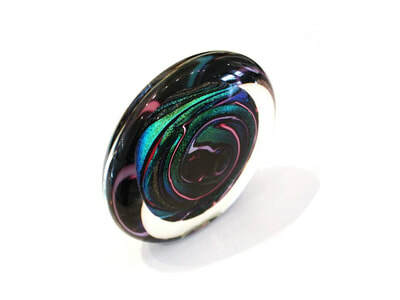 His work uses distinctive colours and frequently includes Dichroic glass which provide lustres and textures to his work. 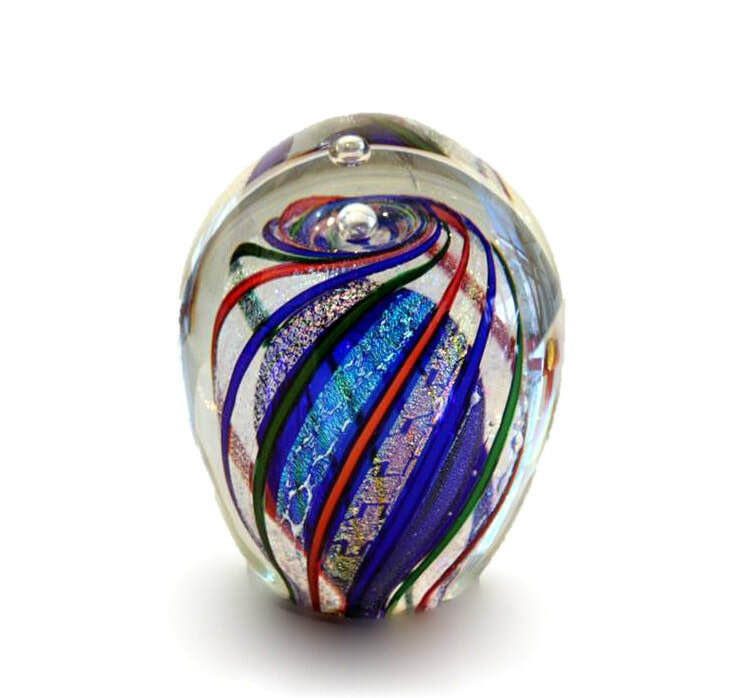 Peter Viesnik has enjoyed a long career in hot glass. 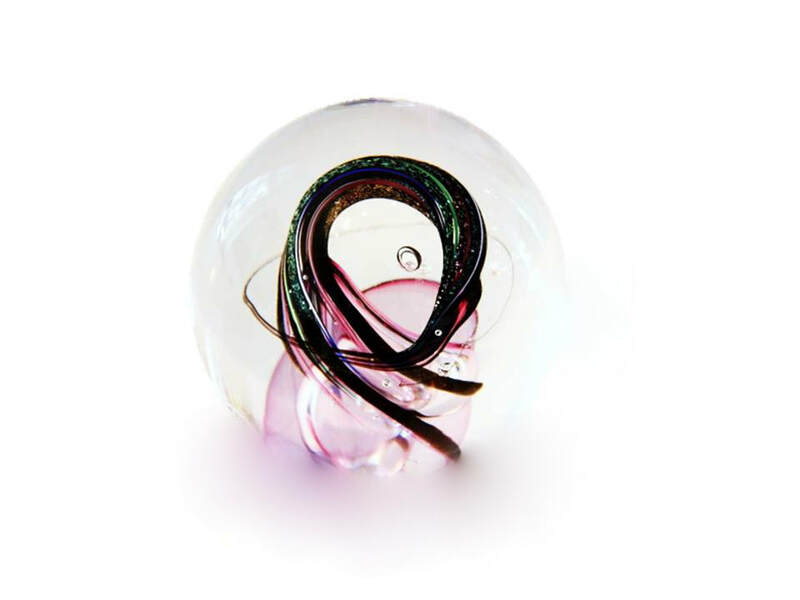 He began in 1979 by building his first workshop in partnership with New Zealand glass artist Peter Raos. 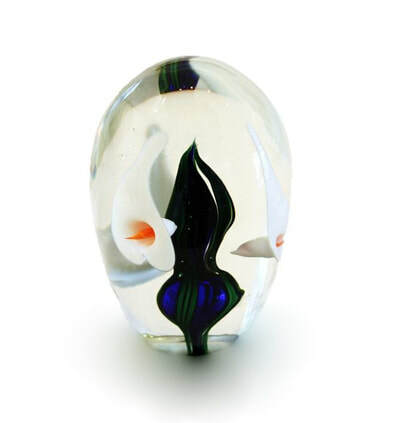 Together they went on to establish the Hot Glass Company in Devonport, Auckland. This studio became a focal point for glass enthusiasts for many years. 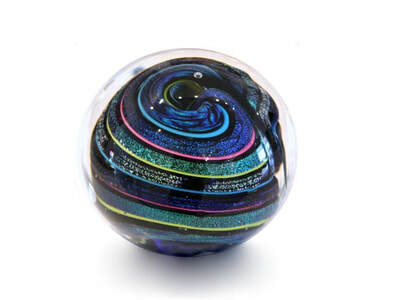 Viesnik developed his glassblowing career by working alongside other prominent New Zealand glass artists, including Garry Nash, Mel Simpson and Keith Mahy. 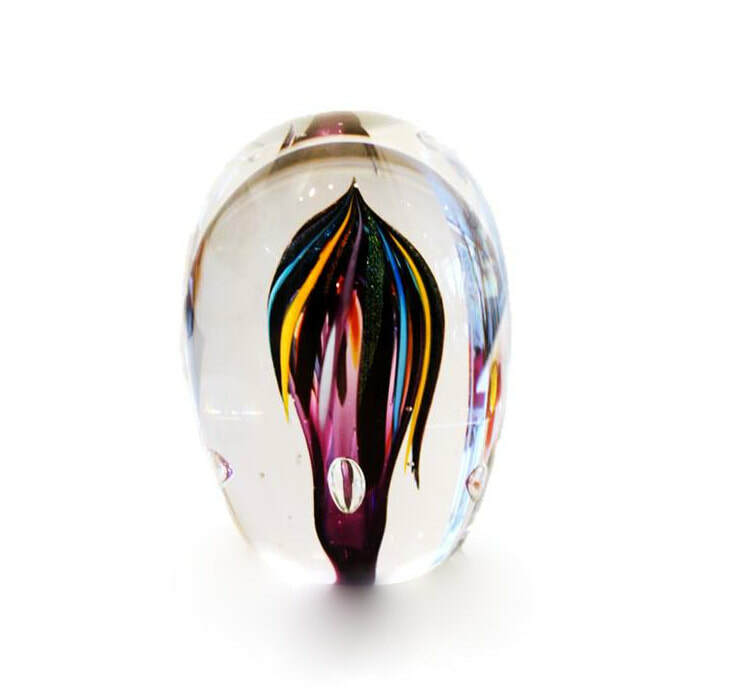 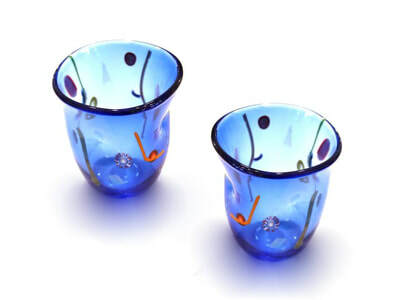 In 2000, Viesnik began operating his own independent glass blowing studio where he trained assistants and produced his own work. 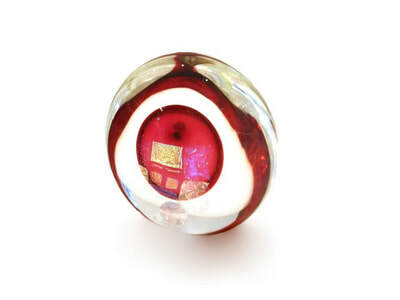 He still works today from this Auckland studio. Viesnik attended lamp working training at the famous Pilchuk Glass School in Washington State, U.S.A. 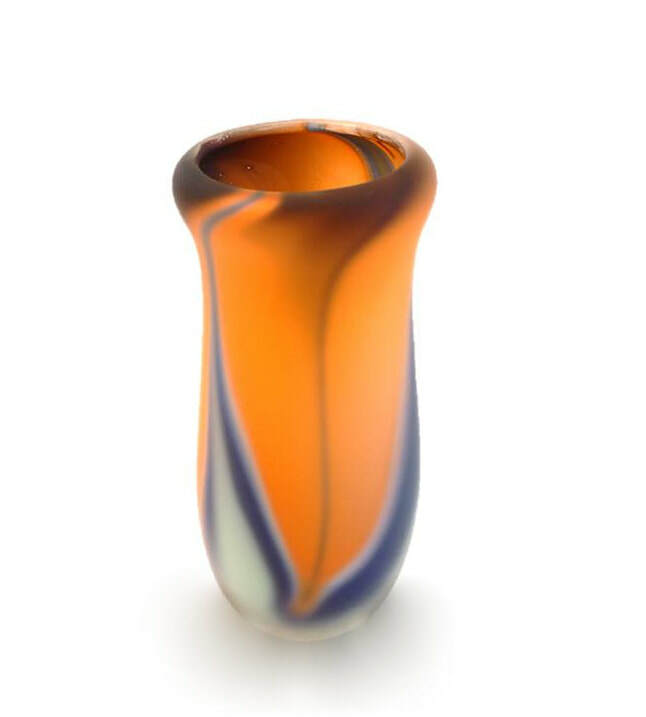 Following this became interested in the process of flame working/lamp working. 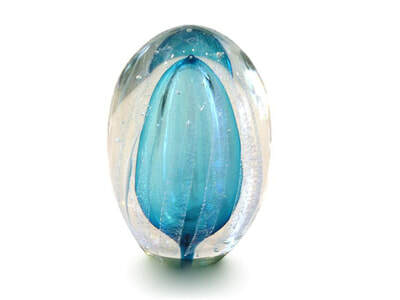 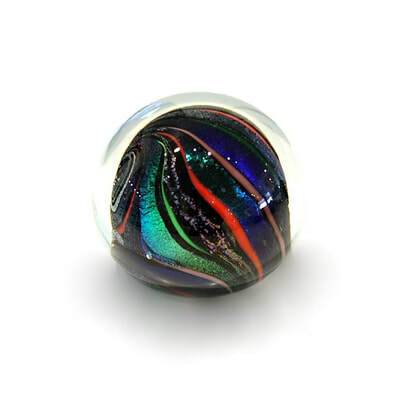 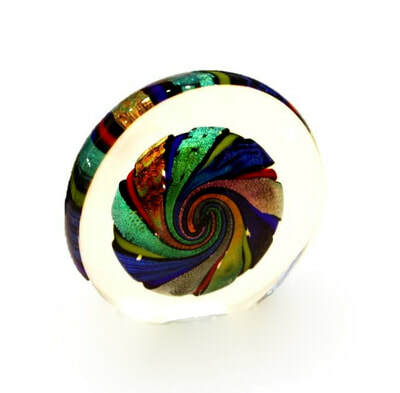 This resulted in a period of producing glass beads and jewellery. 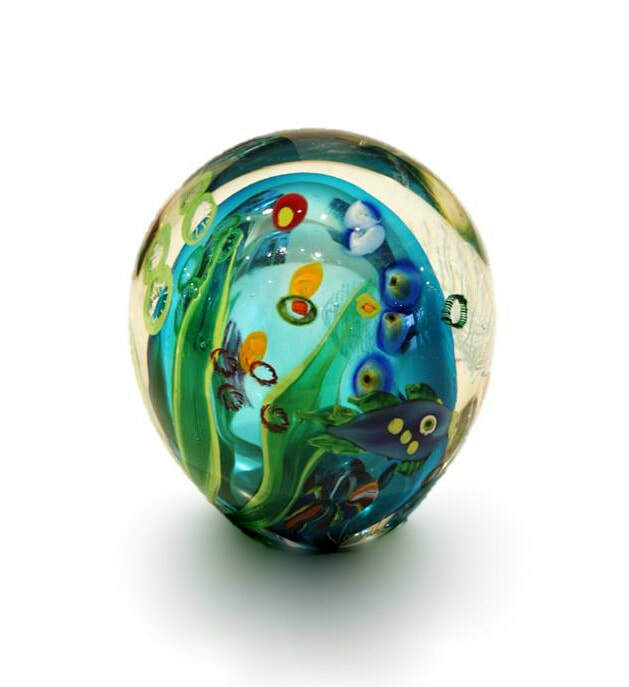 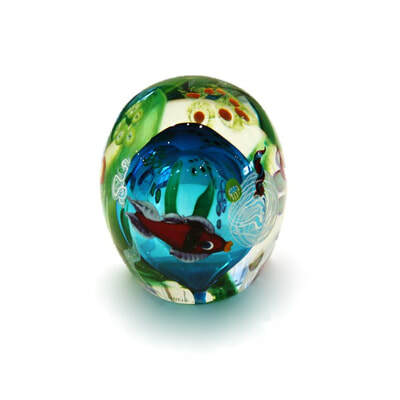 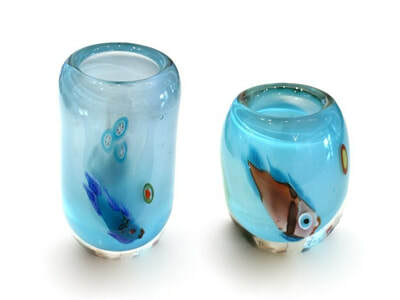 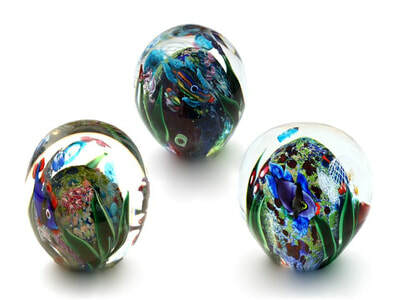 These skills continue to influence his work as he uses this process to make component parts such as fish, seaweed and other decorative elements for his Marine Fish paperweights and blown objects. 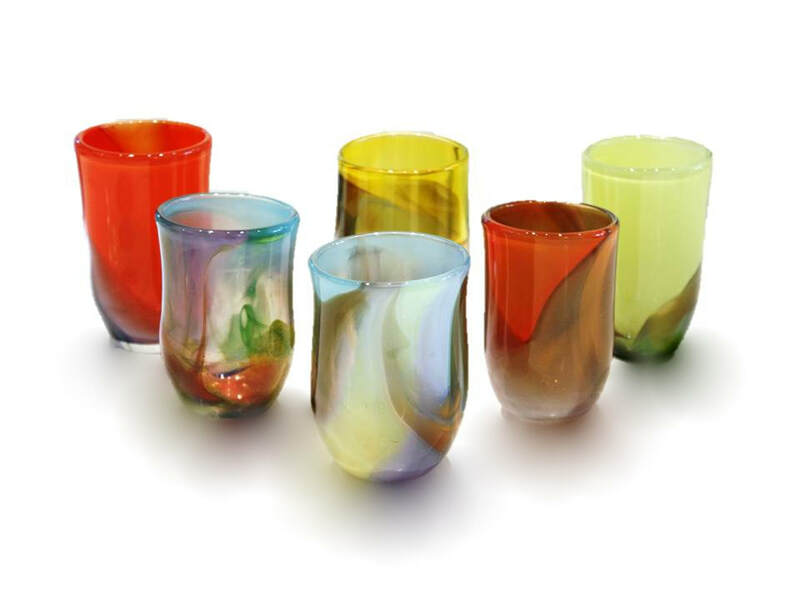 Viesnik is a long-time member of the Society of Artists in Glass, he has been a committee member, Treasurer, Vice President and President. 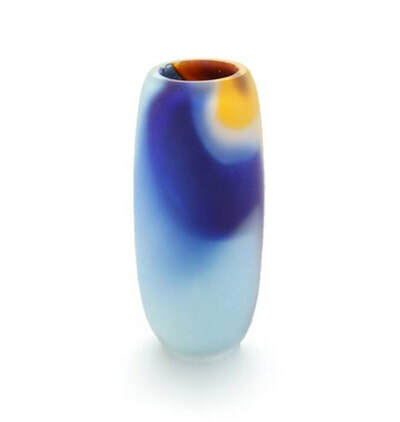 He continues to exhibit his work in select galleries in New Zealand and has work in private collections throughout New Zealand and abroad. 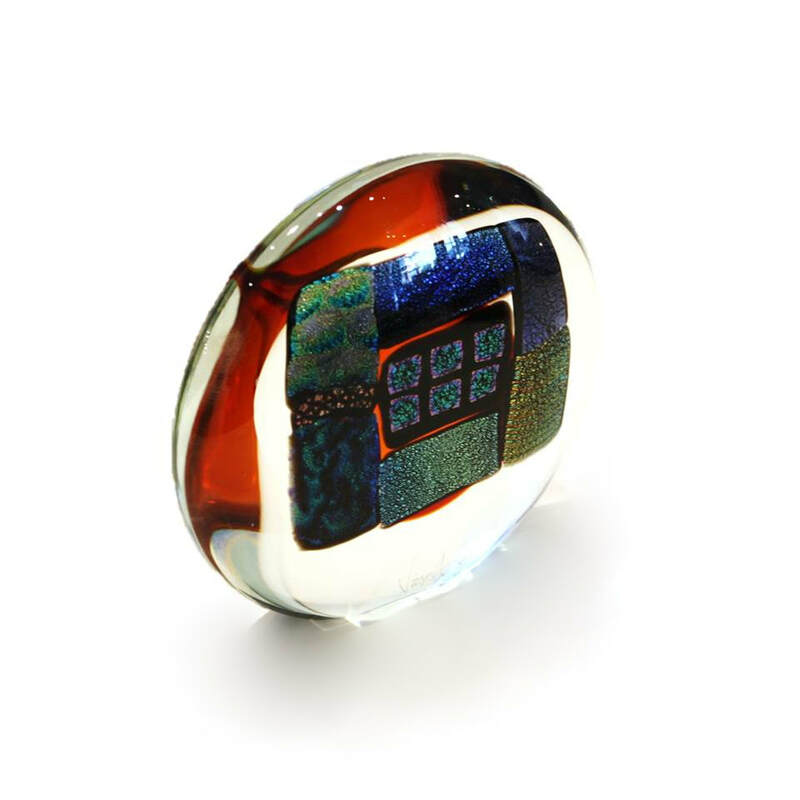 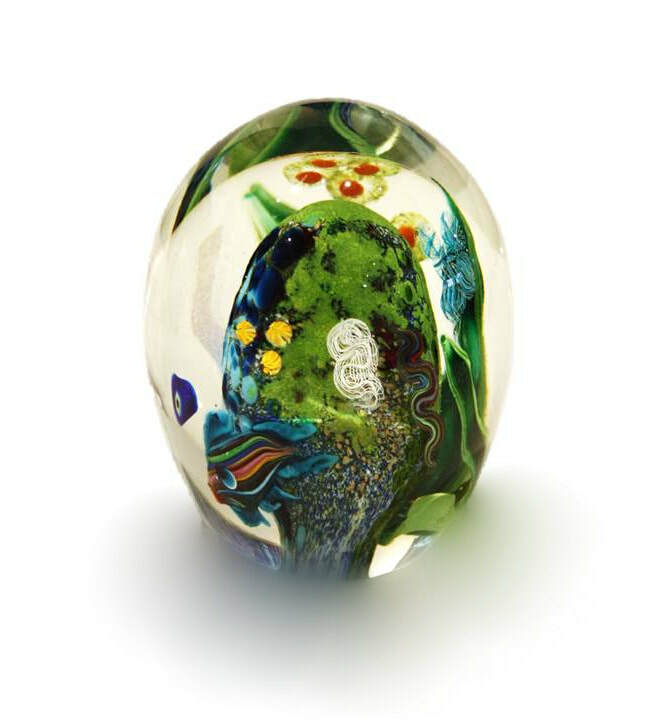 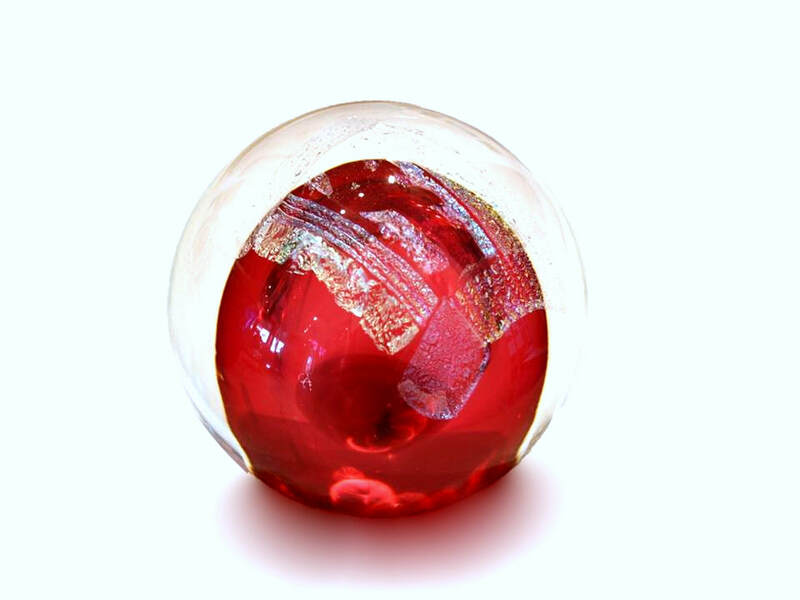 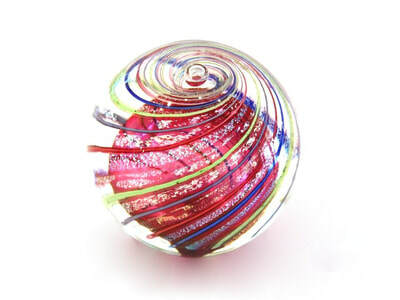 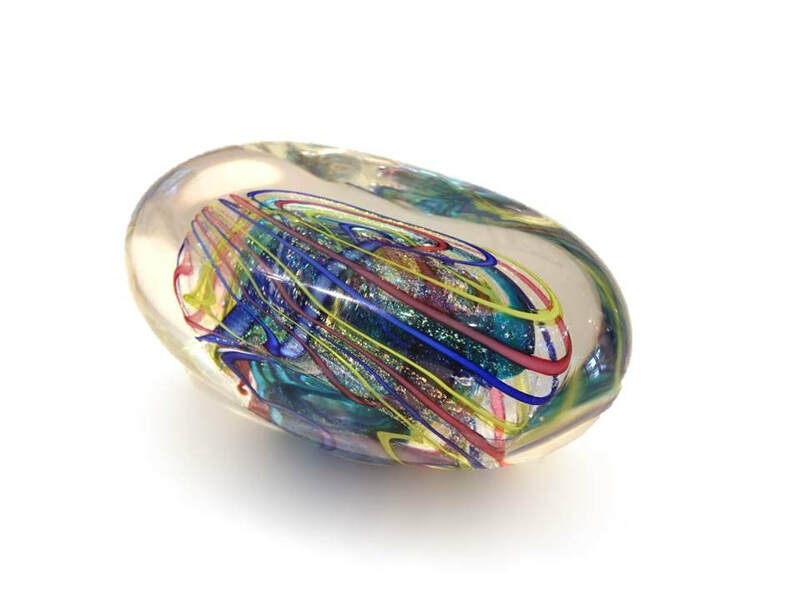 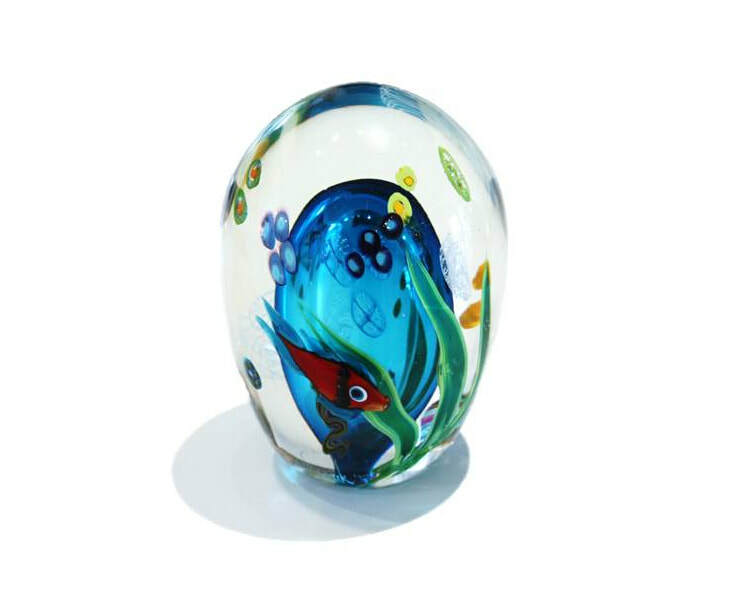 Peter Viesnik produces a range of glass artwork, from paperweights to vases, stoppered bottles and bowls. His work uses distinctive colours and frequently includes Dichroic glass which provide lustres and textures.